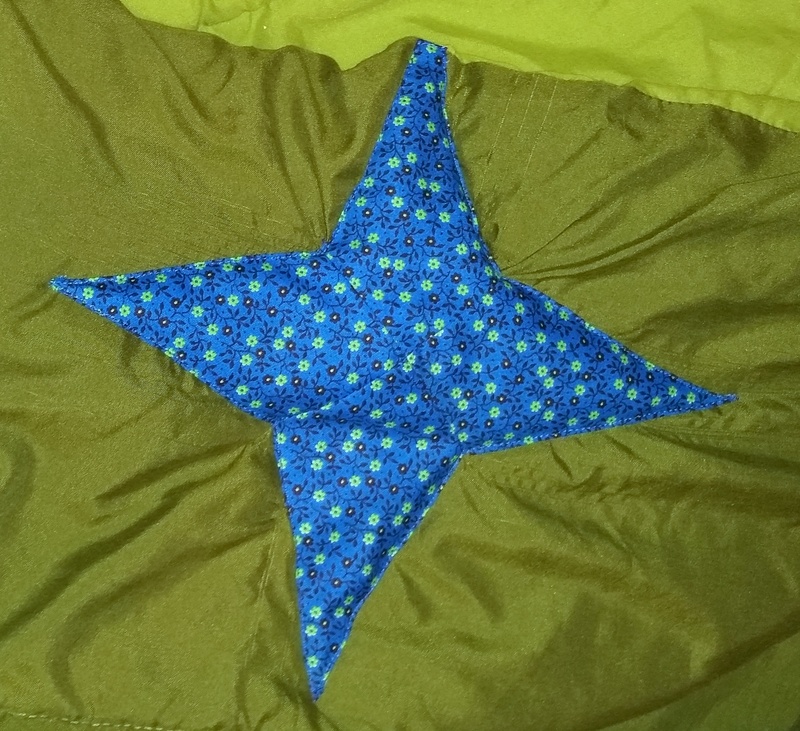 — I sewed a four-point star sewn from four kite-shaped pieces. 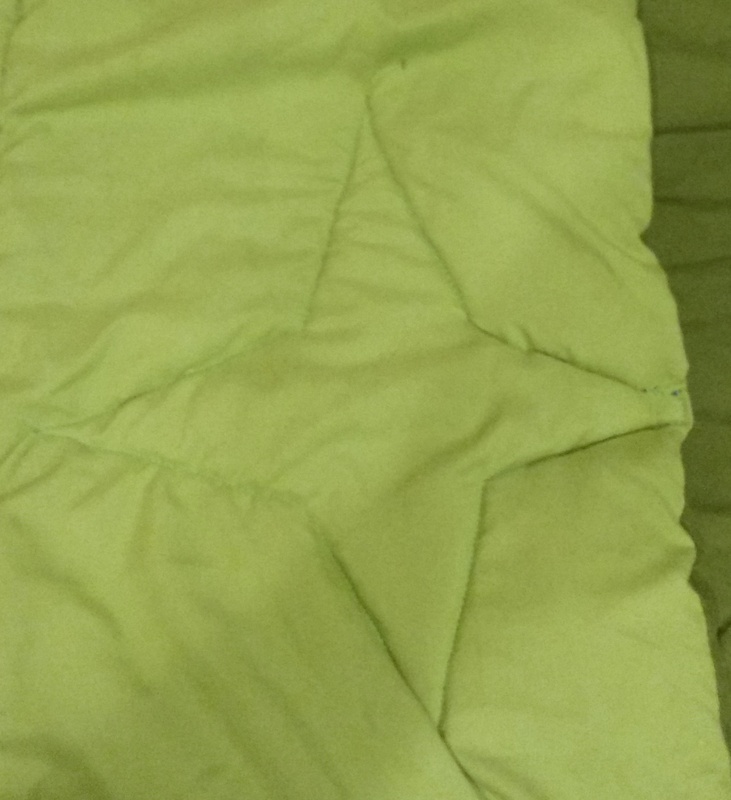 And here’s the blanket, with all the runs covered: As always, I made my appliqués using scraps from previous projects. 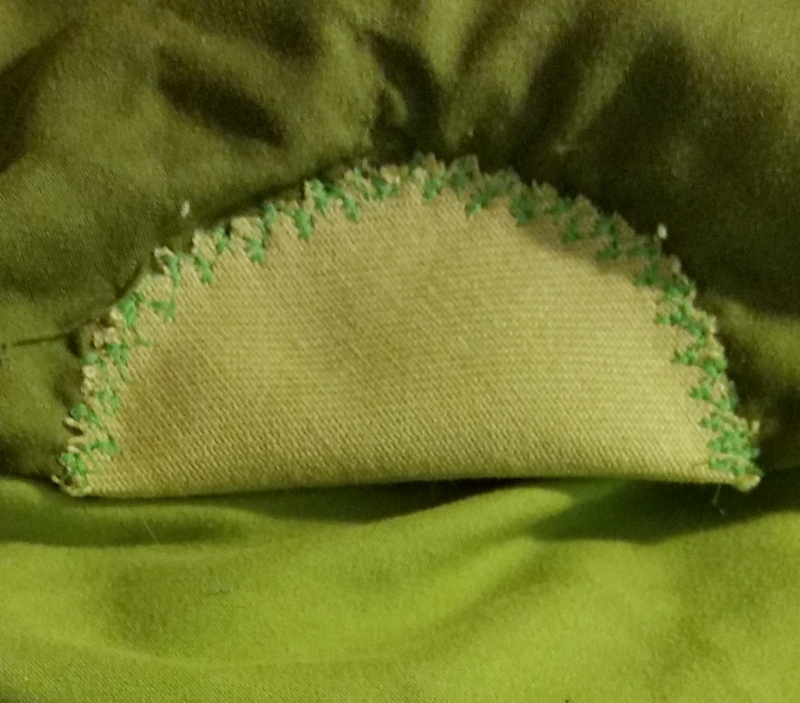 I used three very different appliqués because I was just goofing around. 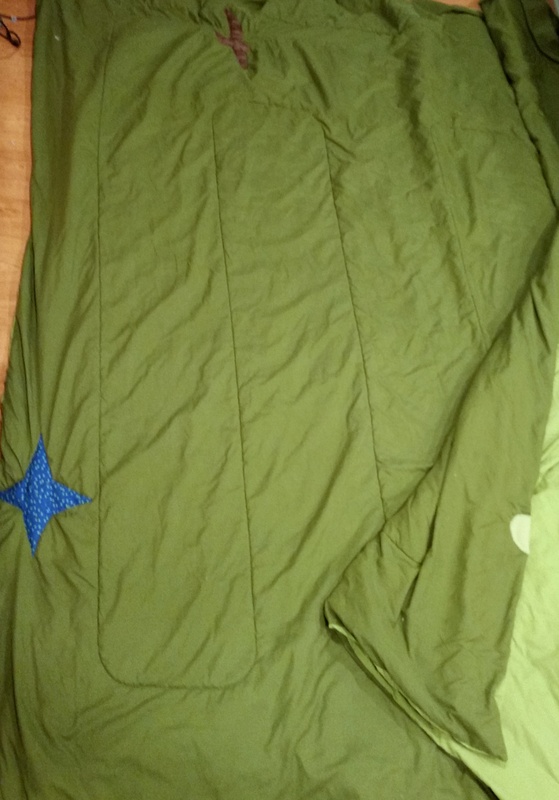 But you can make your own blanket repairs reflect a unified design by using appliqués on a theme: all stars, all geometric shapes, all birds and nature shapes, and so forth. 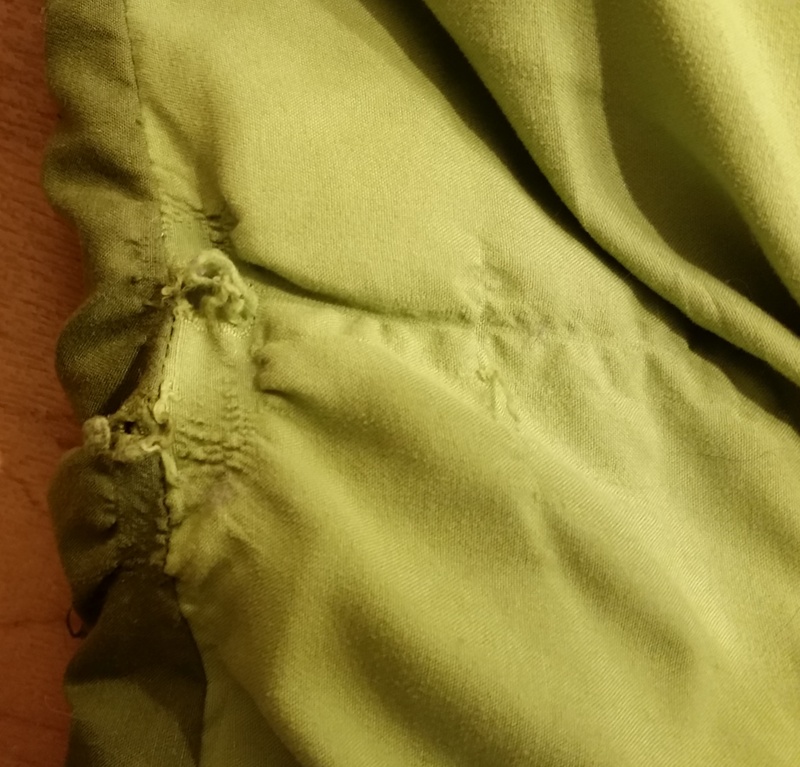 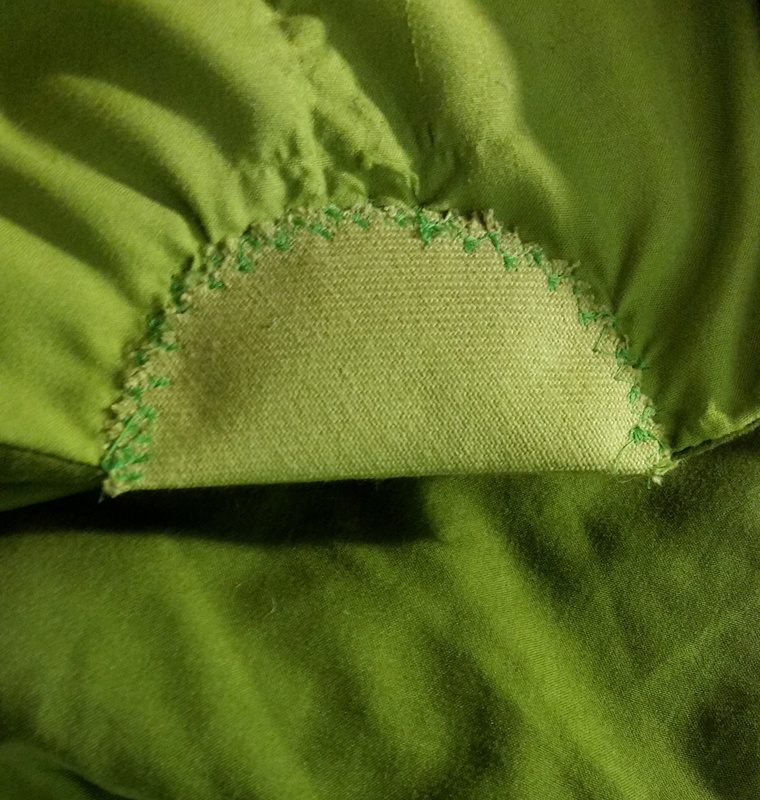 That way, the appliqués will become an improvement on the original comforter – not just something to cover up holes!